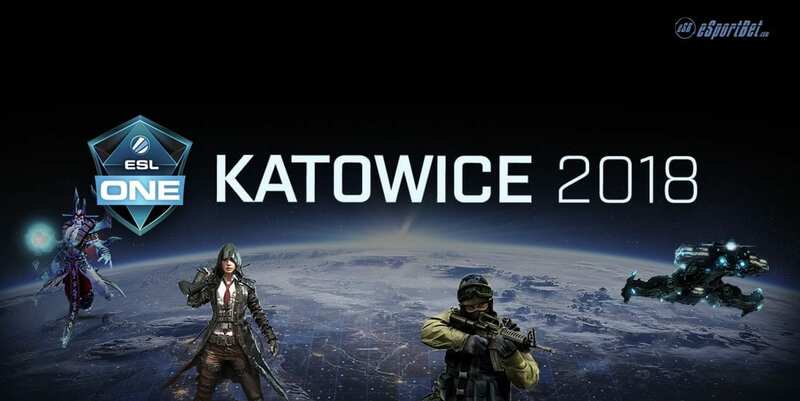 IEM Katowice is one of the biggest esports events of the year. Over a 100,000 spectators will watch hundreds of top pros compete in StarCraft 2, Dota 2, League of Legends, and CS:GO, with almost $2 million up for grabs in prizes. Casting talent is being flown in from around the world to provide commentary for these games, and many hungry young professionals are hoping this will be their breakout chance to score big and make a name for themselves. Billed as the largest esports event of the year, IEM Katowice is a show that no serious esports fan is going to want to miss. #1 – Find a book with a good reputation. Luckily this isn’t a problem, as there are a lot of great sportsbooks with solid reputations out there. You can see links to a few highly reputable online sportsbooks that we recommend on this page. These are well-established books that take esports action and a great choice if you are considering where to play. #2 – Get yourself a juicy deposit bonus. In order to attract new customers, sportsbooks often offer deposit bonuses if you have never played on their site before. A match deposit bonus means that if you deposit one hundred dollars, they will match it with another hundred (or sometimes a different amount, depending on what the match % is), and right away you start playing with two hundred. With a deposit bonus, you start off playing with house money immediately. Then all you have to do is make a number of bets to clear the bonus and you can cash out your deposit, your winnings, and the bonus funds. Be aware that wagering requirements apply to any bonus amounts. #3 – Find a sportsbook that offers bets on the games you like. Sometimes sportsbooks only cover a few of the most popular esports, whereas others cover different games in more depth. Obviously, if you are a StarCraft 2 fan, then it doesn’t make a lot of sense to deposit on a site that is only taking bets on League of Legends and Overwatch. Make sure that the sportsbook in question takes bets on the game you like, and also covers the tournaments you want to bet on. #4 – Don’t play for more than you can afford to lose. Gambling is about entertainment, not making money. Placing a small bet on a match can make it a lot more interesting because you are now financially invested in the outcome, but try to make rent money going all in on Innovation vs sOs. In gambling, there is no such thing as a sure thing. #5 – Think about your bets. Betting on esports is a game of luck and a game of skill. The way that betting works is you have a guy or a team of guys who are making the odds. They assess the players and try to figure out the probability that one will win a particular match. They might just use their own subjective knowledge of the players’ respective skill levels, or do a detailed statistical analysis of their professional record vs each other or vs their race. Factors like the latest patch and each players’ individual play style are going to play a role in determining where to set the line. But the oddsmakers are human, and assessing the different skill levels of various e-sports professionals is a very difficult task. The oddsmaker has to determine not only who is the favourite, but exactly how much of a favourite that player is. Any slight error in judgement on their part is an opportunity to make a profitable wager, or at least overcome the juice and break even in the long run. So take your time and really think about the odds on various games that are offered. Dates: Group stage: February 27, 28, March 1; Playoffs round 1: March 2; Semi Finals: March 3, Grand final: March 4. In total there are eight invitations dished out of the IEM Katowice CS:GO component. Four of these are allotted to the European qualifiers, while two slots are given to North America’s best. One slot each is given to the Asian qualifier and the Oceania qualifier. * *In addition to the base prize pool, for each group stage victory a team is awarded $1000. The teams: Team Liquid, Effect, OG, Vici Gaming, Mineski, CompLexity Gaming, OpTic Gaming, Virtus.pro, Team Secret, Infamous, LGD Gaming, Evil Geniuses, Natus Vincere, Fnatic, Team Kinguin. Dota 2 will come to Katowice for the very first time with the prize pool to be worth $1 million. Labelled ESL One Katowice 2018, it will pit 16 of the best teams in the world against each other. It will be played on from February 20. Dates: Ro64 – February 26, 27; Ro24 – March 1, 2; Ro12 – March 3; Grand Finals March 4. The Katowice is the biggest StarCraft 2 tournament of the year with it running over a week from February 26 and finishing on March 4. Sixty-four players are automatically qualified and battle out the early rounds in an attempt to qualify into the groups. While another 12 will join them from online qualifiers and will gain entry into the final 24 automatically. The final of the tournament will be played in Spodek. * Each player is awarded $200 for each group stage win; while the prize pool has increased to $400,000, an increase of $250,000. PUBG is the freshest game in the esports scene, with it only having on real test at Oakland in North America. Still it is set to draw plenty of interest at Okowice, with it to be played on February 24 and 25. The prize pool is $50,000 and 16 of the best teams from around the world will be aiming to take the cake. Nine of these teams — from Europe, North America and Asia — have been invited along while another seven will earn there spot through open and closed qualifiers. The PUBG tournament will be played with 16 squads, of four players each, under first person perspective. Betting on tournaments like IEM Katowice is a great way to enhance your fun as a spectator and make an already interesting event even more exciting. Check out a few of the sportsbooks we recommend for you on this site, and put down a bit of action on your favourite pro.